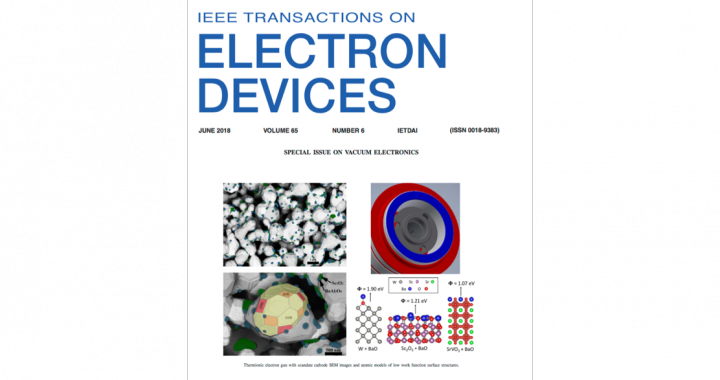 Prof. Morgan and Dr. Ryan recently published a review paper “Frontiers in Thermionic Cathode Research” on IEEE Transactions on Electron Devices. This work was selected as the cover image of this issue of this journal. Gongratulations! Check out this cool paper here: link. Cover image link is here: link. Next post: Congratulations to new PhDs from Computational Materials Group!